System integration primarily involves software system integration and the process of combining individually tested software components into a complete automated system. 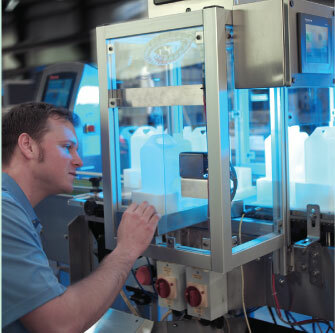 When Universal Machine designs an automated solution our systems are critical to the functionality of the entire line. That is why it is important to work with a single source neutral integrator. When we combine existing systems with custom systems we have your best interests in mind and make sure that the entire system works properly and profitably for you. You need a custom and operation specific automation process created. Do you want to trust a company who may have a bias towards one type of equipment or software over another? Or do you want to work with a an experienced neutral line integrator who has no bias except to the customer’s best interest? Universal Machine is the experienced neutral integrator you need to get the job done right in the first place. 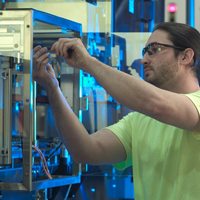 Our experience and expertise make us uniquely qualified to source and procure some elements for a new automation process, while also being able to create custom elements and programming to integrate the entire line successfully. Being neutral enables us to work with the best manufacturers, while adding our custom designed equipment and human machine interface (HMI) panels and electronics to make it all work together seamlessly. 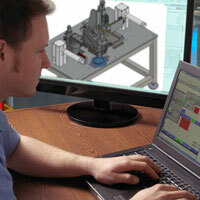 When you need the best integrator it’s time to contact the Universal Machine team!